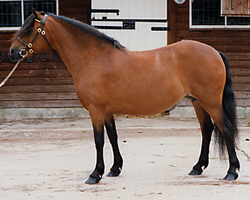 She was reserve for the Lord Arthur Cecil Supreme Champion M & M NPS and Lloyds Bank (HOYS) and was third at the Lloyds Bank final at HOYS in 1988. This mare, I consider, is probably the best I have bred. 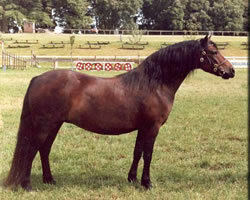 Among others she is also the dam of Shilstone Rocks Atlantic Gale. Dam: Shilstone Rocks Dark Mountain. 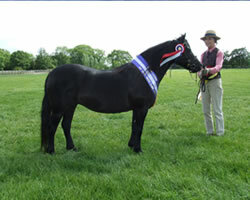 Winner of 25 Supreme and Reserve Championships from 1988 to 1996 at 21 shows. She was sold to Felicity Thompson for her daughter to ride where she was very successful in lead rein and first ridden classes. Dam of many very successful progeny. 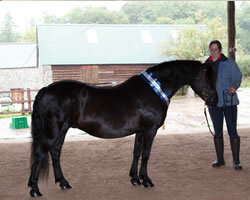 7 Championships and Reserves along with many firsts during her showing years (27 shows). 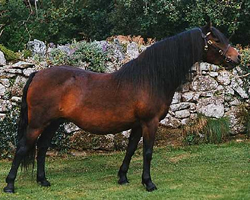 A mare with great substance and quality. Her latest foal, was the winning yearling colt Shilstone Rocks Maverick. Among her successes in youngstock classes she was Supreme Champion at our breed show in 2012 .She is now being very useful in our riding centre taking small adults and children for hacks out on the moor. Dam: Shilstone Rocks Sweet Fury. Up to 2009 she was shown 20 times. She achieved 16 firsts and 11 championships/ reserves. She is now owned by Lyndy Calcutt who has been having equal success with her in hand and as a lead rein for which she is admirably suited. She is now in foal for 2016. Full sister to both War Lord and Sweet Talk. 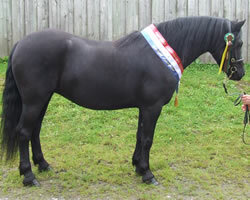 Winner of 8 championships and reserves from 12 shows. Her stock have also been very successful. One of her daughters; Sugar Snap is now in New Zealand with Claire McCormick and Tracey Elliot-Reep (two of our daughters). 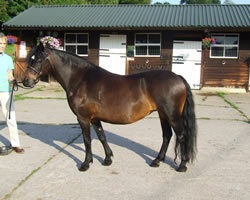 Sugar Snap was exported in foal to North Countryman and has had two lovely filly foals one by him and the latest by Digmac Eagle Rock whose sire Shilstone Dinger Tor was imported by Steve Phipps and Becky Pocock some years ago. Dam: Shilstone Rocks Rainy Day. 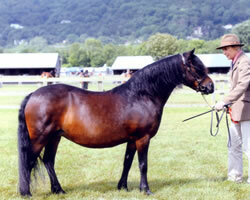 Very successful in the show ring. She has had some bad luck with some of her foal’s one breaking his leg in the trailer and another falling and breaking her neck. However we have had two lovely fillies the last two years, Day Dream and Day Light to carry on from her and we might get another foal yet! 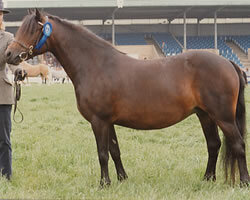 A Supreme Champion herself, as was her sire. She excelled in driving competitions driven by Joanna Penfold (one of our daughters) she qualified twice for the Royal Windsor championships in a pair with the gelding Panache and was 4th.